There are three basic elements that every successful company needs: a great product or service, demand for said product/service and a team of employees committed to providing or producing it. As all managers are well aware, a productive workforce can be the make or break of a company — no matter how amazing the product may be. However, maintaining motivation among a workforce to ensure ongoing productivity is no mean feat. Almost half (44.5%) of the 786 Britons surveyed said that a messy work environment would negatively affect their productivity — whether that is the result of a messy workstation or messy surrounding area. In an increasingly paperless world, a spaghetti junction of tangled, trailing wires is often the main culprit for creating unsightly clutter in an office. This is down to the fact that desks are generally laden with a combination of computers, keyboards, laptops, phones and tablets. The problem with many everyday office environments is that mess tends to accumulate over time, especially in areas away from public view. This gradual build-up of clutter ­— be it wires trailing across and under desks, stacks of files or overflowing waste bins — often occurs without staff members necessarily noticing. Then, before long, the office begins to take on an unprofessional, disorganised and chaotic atmosphere — feelings which can easily become absorbed by staff. It goes without saying that this negative energy will have a similarly negative affect on employees’ motivation, and ultimately their productivity and output. So much so, that a study carried out by The National Association of Professional Organisers found that disorganisation in the workplace can accrue financial losses equivalent to 10% of a manager’s salary. 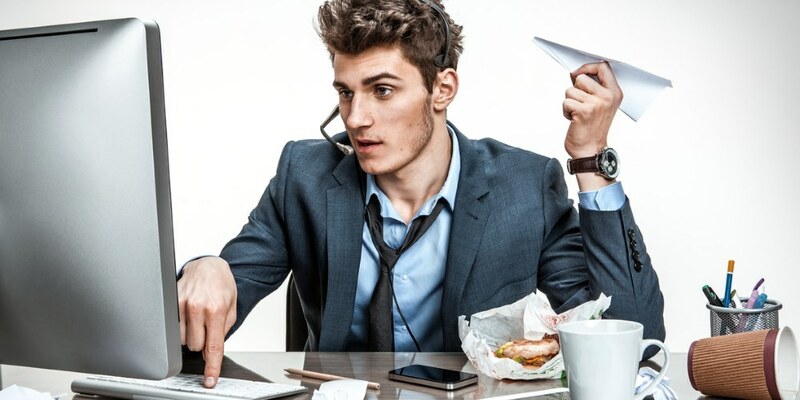 Why does visual distraction affect productivity? Chaos restricts the brain from processing information and focussing clearly. Overloading the brain with different elements (no matter how seemingly unimportant) forces the brain to split its power. Clutter can distract workers from the task in hand, creating wasted hours spent looking for misplaced items. 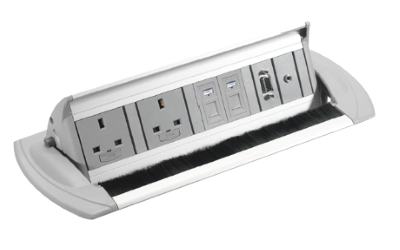 In many offices, it is not uncommon for socket rows to be stretched beneath desks in order for those positioned away from wall sockets to access power essential for charging devices. In this instance, aesthetics pale into insignificance against the potential health and safety risks that this creates. A recent study carried out by the HSE revealed that an average of 119,000 UK employees slipped, tripped or fell in the workplace between 2013 and 2016, a figure that would be significantly reduced by removing trip hazards such as sprawling wires and cables. 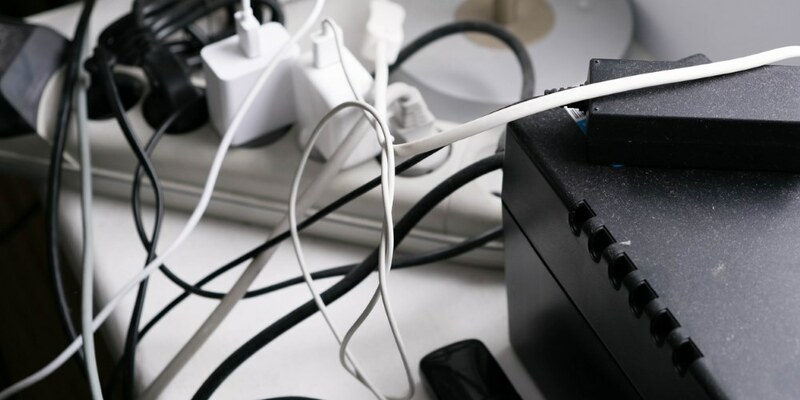 Aside from the visual distraction and safety concern that jumbled wires create, there is also the time-wasting element involved with untangling wires to access your devices. The good news is, there are several simple-yet-effective solutions to combat these issues and create a clutter-free, and ultimately more productive, workplace. 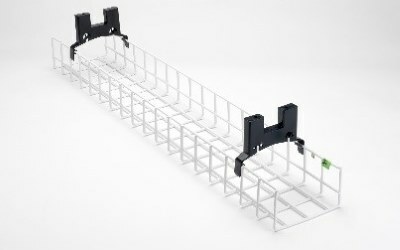 Cable baskets attach to the underside of a desk and invisibly house cables out of sight. Cable spines contain cables that are run from the desk down to sockets at floor level. A lack of available plug sockets and mobile chargers is responsible for distracting almost a fifth of respondents — interestingly these are the two most popular answers given by male respondents. Advancements in power module technology, however, means that this is an easily-addressed issue. 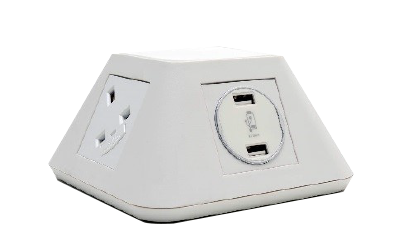 The most convenient way to access power for portable devices such as laptops, phones and tablets is by having the power socket right there on the desk surface. ‘On’ and ‘in desk’ power modules — which either sit directly on the desk or are neatly concealed within the surface of the desk — enable workers to simply ‘plug in and go’ rather than having to search under the desk or around the surrounding area for an available socket. Power modules positioned on the desk surface allow quick and easy power access to a range of different sockets. 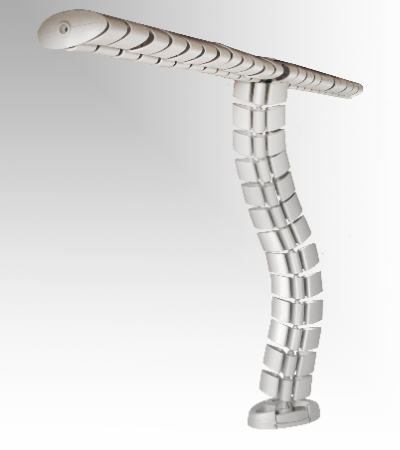 Power modules positioned within the surface of the desk allow the sockets to be concealed when not in use. 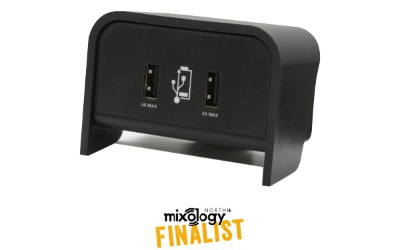 This is a great way to instantly access multi-media sockets and can be particularly useful on a conference table. Many portable devices can be powered by a USB port, removing the need for three pin sockets. This means small and compact USB ports can be positioned on desk tops for the utmost charging convenience. 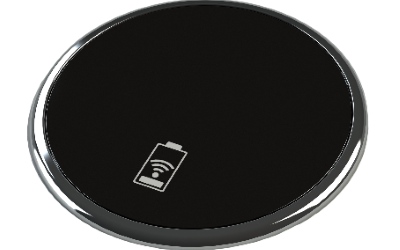 Mobile phones can be charged wirelessly on discrete charging ports that sit flat on the desk surface, eliminating cables altogether. Receiving an equal amount of votes amongst men and women — and the overall highest amount of individual votes from the survey — was insufficient lighting. It is widely acknowledged that working in a poorly lit environment — either too dim or too harsh — can have a detrimental effect on productivity. In fact, according to a study conducted by the American Society of Interior Design, 68% of employees are unhappy with the lighting set up in their workplace. 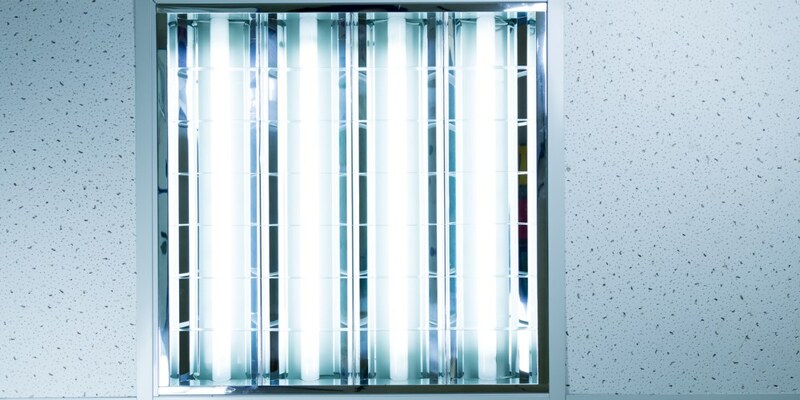 As lighting preferences can vary from person to person, and also from task to task, addressing the brightness and temperature to suit the needs of all employees is no simple task. That’s why wireless lighting — which can be adjusted remotely on a light-by-light basis — is a godsend for many offices. Bespoke lighting is a great way to compliment natural light as it can be programmed to come on only when needed. This obviously presents significant energy saving benefits for employers and improves the company’s carbon footprint. Another huge benefit of wireless lighting is the very fact that it is wireless. Not only does this tie in with our earlier point regarding messy wiring, it is also a great solution for installing lighting into older buildings which may otherwise require totally rewiring. Investing in smart technology achieves far more than simply acquiring state-of-the-art office equipment. 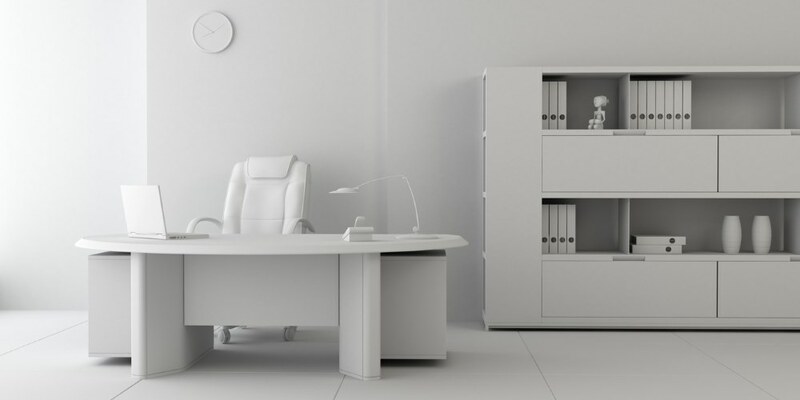 The benefits of a clutter-free office are widespread: from increased productivity and improved morale amongst the workforce to the improved perception of the office to visitors, potential customers and staff.